Romantic Feathers and Roses Image! Today I’m sharing this Romantic Feathers and Roses Image!! 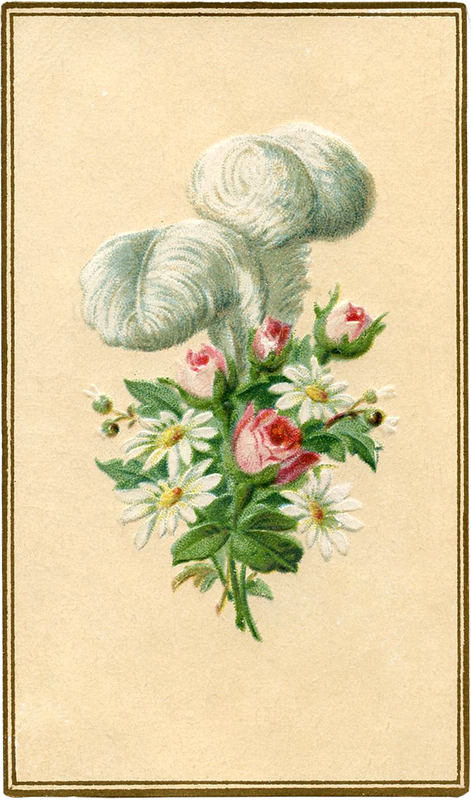 Shown above is an old Advertising Card featuring some White Ostrich Plumes, Pink Roses and White and Yellow Daisies. 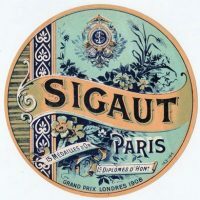 A great Shabby Style Image and a nice one to use in your collage or decoupage projects! This card is part of a set of four that I’ve been sharing over the last few weeks. You can find the first one in this set HERE. The Second one HERE and the Third one HERE. « Fancy French Iron Work Image! Love shabby chic, but never thought of using feathers and roses. Now I will. Thank you for this unusual combination. Love your site! I am doing a white on white project and wondered if you have images that are all white. 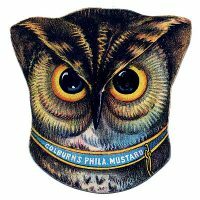 I did search for this, but no luck. Much appreciated. Karen, I just wanted to tell you how much I enjoy my daily dose of nostalgia. I have been subscribed to your blog for about a year now. You have taught me so much, but especially you give me a trip back every day with the wonderful images you put up. Today it donned on me that I had never told you thank you. I have been greatly amiss. Thank you.